During morning hours, When you have a lake of time to prepare elaborate breakfast this Prestige PSMFD 700 Watts sandwich toaster (Black) will make breakfast within no time. 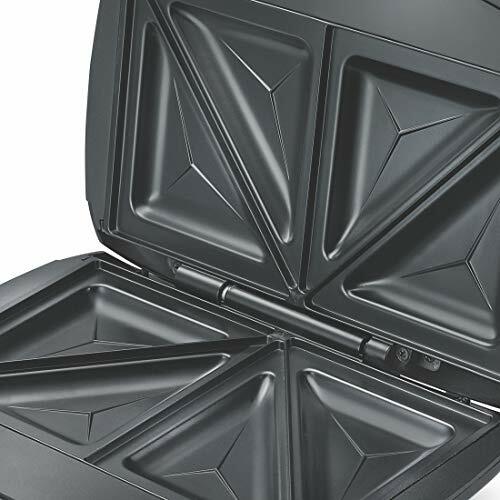 It comes with high-quality non-stick heating plates made of durable die-cast aluminium thus require minimum oil to make a sandwich. Indicators are provided to judge your cocking and when to open the toaster. When the sandwich is ready the red lights turn green. 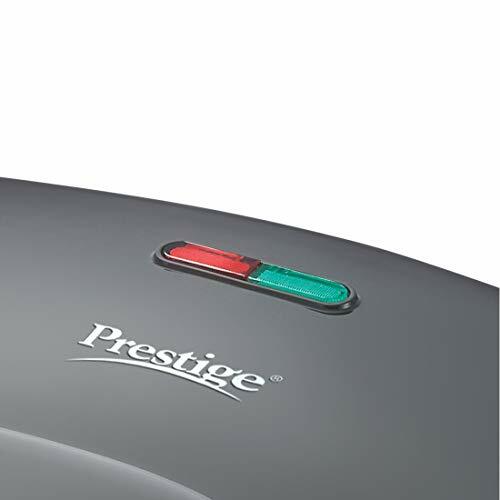 Prestige PSMFD 700 Watts Sandwich Toaster (Black) is very easy to clean the appliance thanks to non-stick heating plates and heat-resistant bakelite body.